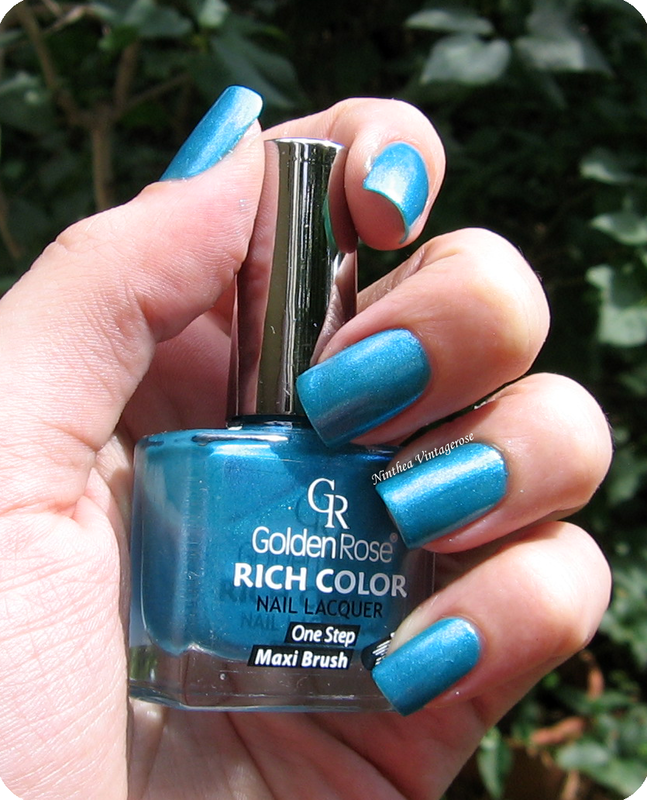 Here I will show you a nail polish from Golden rose, number 39. 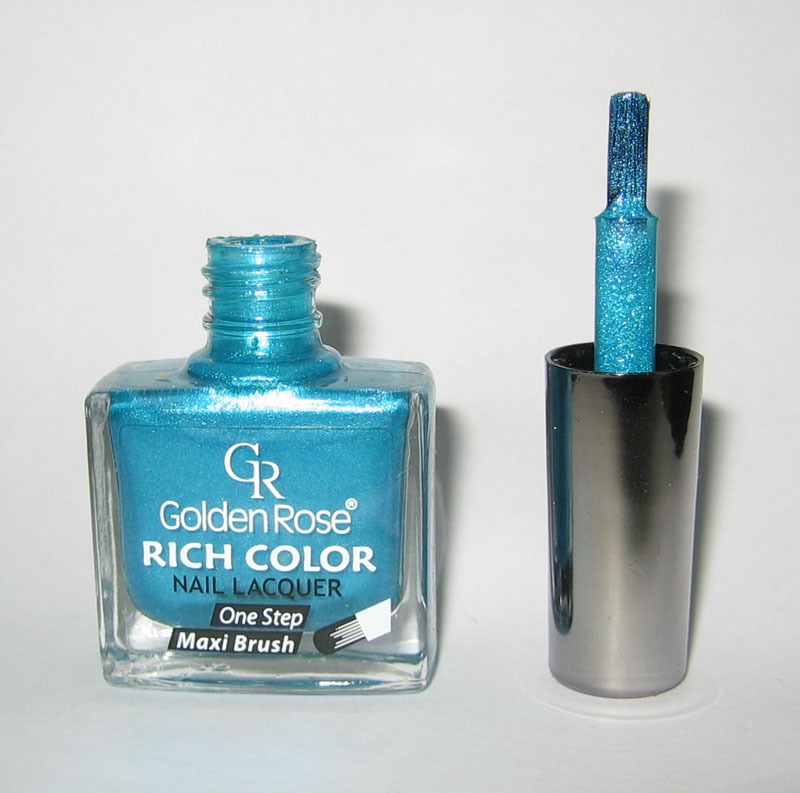 This color reminds me of summer specially when I combine it with the Golden rose Jolly Jewels 107, a glittery nail polish with similar colors. The pigmentation is good, I have applied two coats. I also liked the brush, flat and wide. The drying time was good too. It lasted very well. 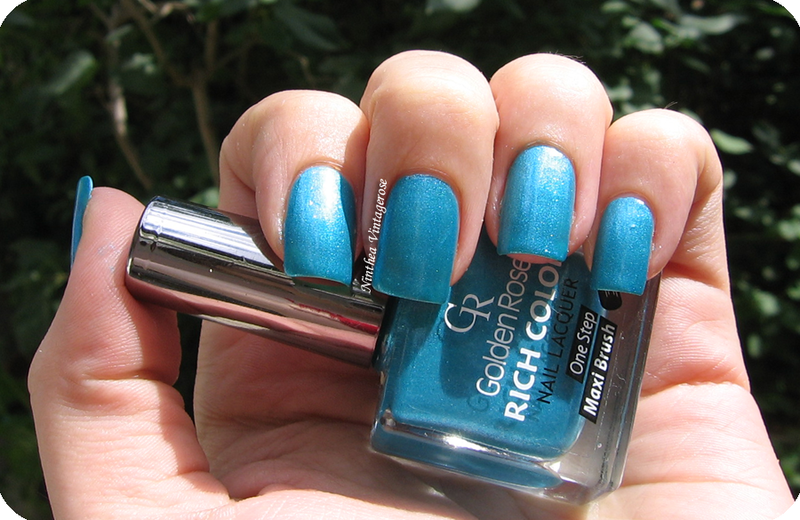 Very beautiful blue, I love these types of oceany blues :)It looks gorgeous on your nails! It's a very pretty blue :) I like this collection. I had the opportunity to buy this polish on a sale and I didn't...now I am sorry for it, because I like very much how it looks on your nails!